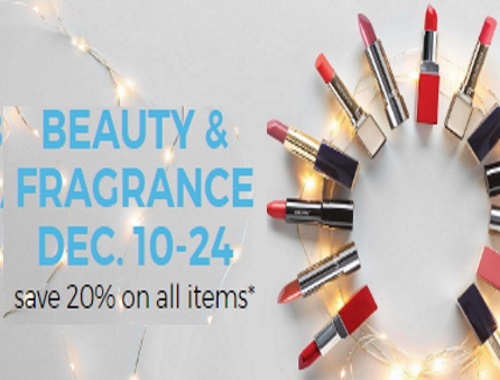 Sears is offering 20% off all beauty and fragrances on now online! No promo code is needed, the discounted prices are already listed at the link below. Offer is valid December 10-24, 2016. Click here to browse Sears beauty department.